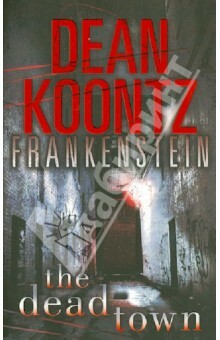 Frankenstein: The Dead Town Harper Collins UK The cataclysmic conclusion to Koontz's brilliant reworking of the classic tale. The war against humanity is raging. As the small town of Rainbow Falls, Montana, comes under siege, scattered survivors come together to weather the onslaught. Victor Frankenstein's nihilistic plan is to remake the future: a future in which mankind will be annihilated. To accomplish this aim he has created nothing less than the shock troops of the Apocalypse. Now the alliance of the good must make their last, best stand and do battle against overwhelming odds. And Deucalion, Frankenstein's original and flawed attempt at replicating life, must finally confront his evil creator. In a climax that will shatter every expectation, the fate of humanity hangs in the balance! Аннотация к книге "Frankenstein: The Dead Town"
The cataclysmic conclusion to Koontz's brilliant reworking of the classic tale. The war against humanity is raging. As the small town of Rainbow Falls, Montana, comes under siege, scattered survivors come together to weather the onslaught. Victor Frankenstein's nihilistic plan is to remake the future: a future in which mankind will be annihilated. To accomplish this aim he has created nothing less than the shock troops of the Apocalypse. Now the alliance of the good must make their last, best stand and do battle against overwhelming odds. And Deucalion, Frankenstein's original and flawed attempt at replicating life, must finally confront his evil creator. In a climax that will shatter every expectation, the fate of humanity hangs in the balance! Если вы обнаружили ошибку в описании книги "Frankenstein: The Dead Town" (автор Dean Koontz), пишите об этом в сообщении об ошибке. Спасибо!